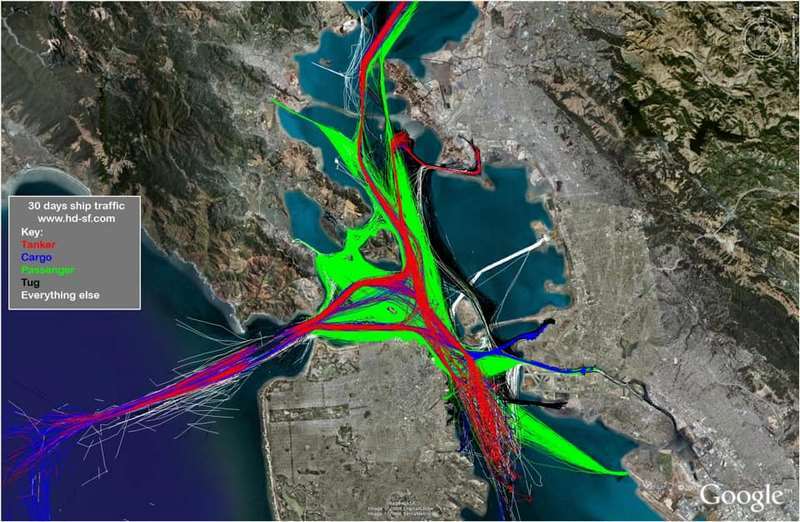 30 Days of marine traffic on SF Bay captured on one graph. Cargo ships and Tankers clearly stay in defined lines. Obviously documented before the new ferry out of Richmond.